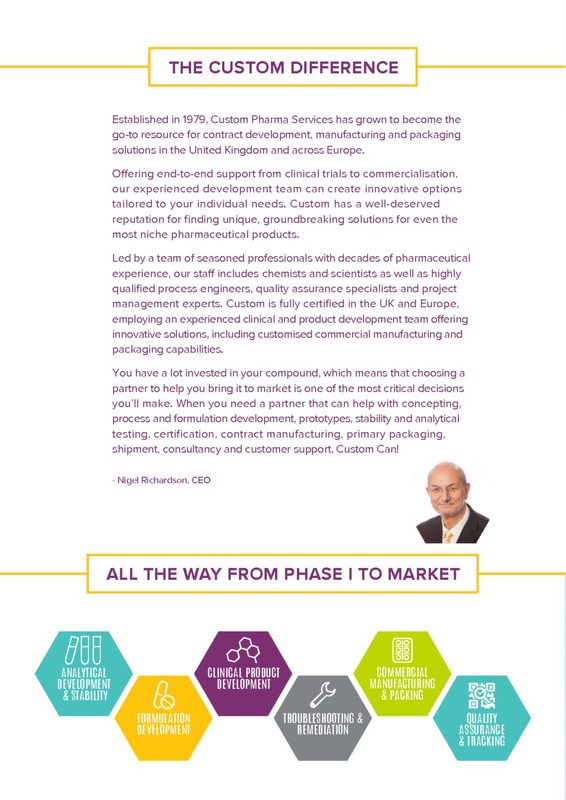 Custom Pharma Services is a full-service contract development and manufacturing organisation (CDMO) for investigational medicinal products (IMP). Based in Brighton, UK, we cover the full spectrum of activities from process development through commercial manufacturing. 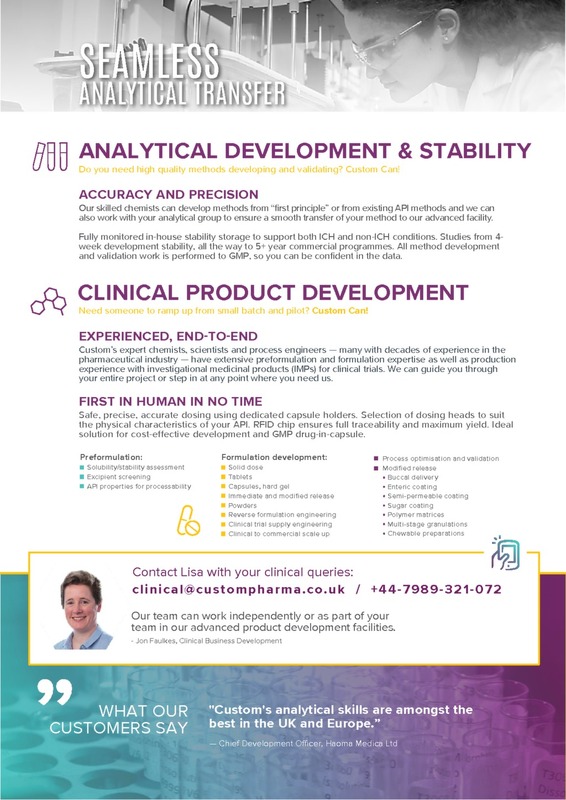 As an innovation-driven CMO, our team of chemists, scientists, process engineers and project managers have the expertise to support development and manufacture of novel drugs and formulations. Our advanced facilities can produce high quality tablets, caplets, capsules (immediate and modified release) and powders. 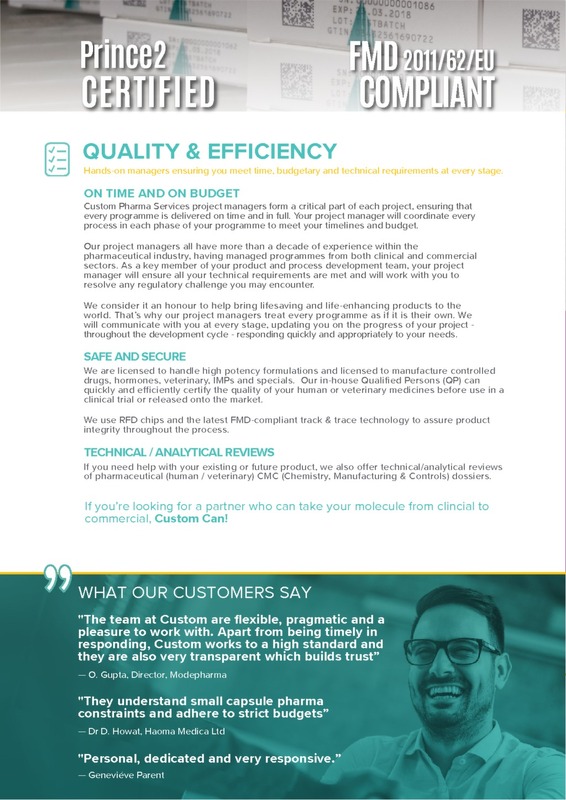 We have high operational dependability with an annual capacity of more than 1.5 billion tablets and 250 million capsules for both clinical and commercial use. 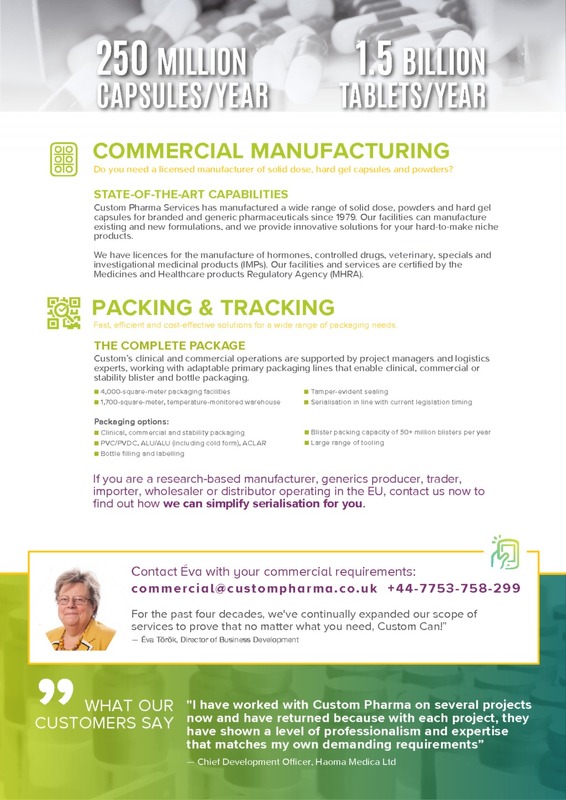 Custom Pharma offer solid dose forms including controlled drugs, certain hormonal products, specials and veterinary medicinal products. 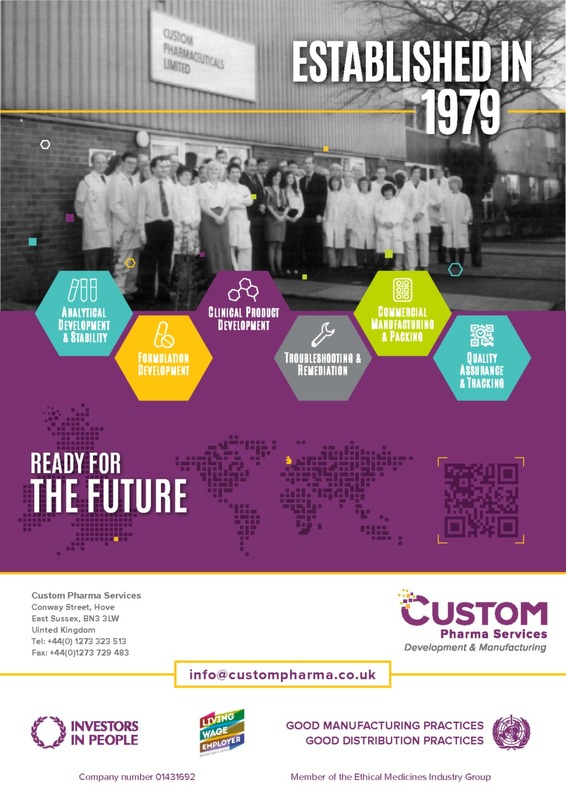 Fully certified in the UK and Europe, Custom Pharma Services is your one-stop resource for contract development, remedial, analytical services and pharmaceutical manufacturing. 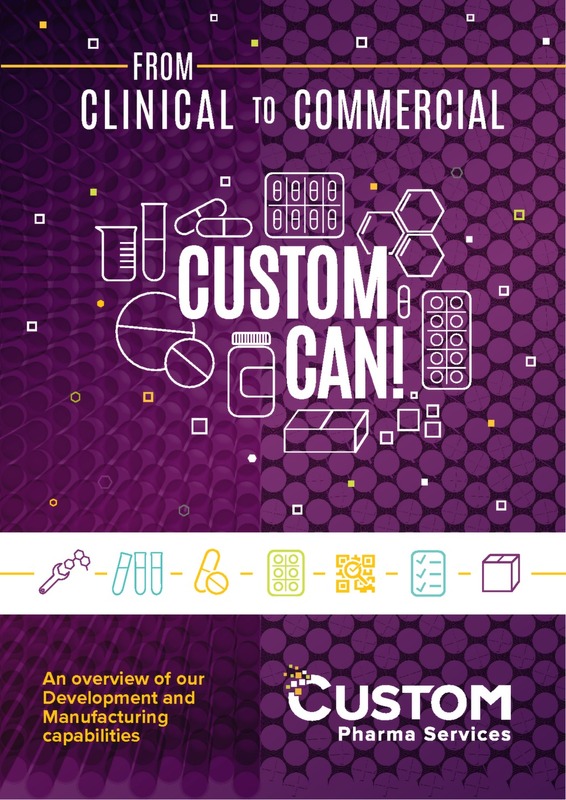 When you need a partner that can help with concepting, process and formulation development, prototypes, stability and analytical testing, certification, contract manufacturing, primary packaging, shipment, consultancy and customer support, Custom Can!